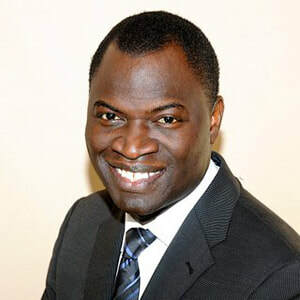 Pape Samb is Director of the Africa Program at Ashoka: Innovators for the Public. He is a well-known advocate for developing self-sustainable communities, women and youth-led initiatives. At 13, he started a women’s empowerment and youth economic development organization, was president of CAP-Jeunesse, a Senegalese network of youth organizations; and was hired by the Senegalese government to train youth in entrepreneurship, business and grassroots organization management. He rose from the ranks of director of programs and COO to become the president and CEO of Phelps Stokes, America’s oldest (102 years) continuously-operating foundation. A driving force and empowering ‘agent of change’ for youth globally, he not only serves as chairman, but founded, designed and developed the Global Youth Innovation Network (GYIN), a youth-run and led network of over 5,000 young leaders, entrepreneurs, innovators and farmers in approximately 100 countries. Experienced in international development, he supported Sasha Bruce Youthwork in programmatic and development operations; designed, implemented and managed Africare’s online communications in 26 African field offices; and served as micro-finance director at Cooperazione Internazionale (COOPI). Samb holds a Masters in Executive Leadership from American University and has won several awards including Leadership in Excellence and Next Generation of Leaders. He is also CEO of Exeleadmen, focused on executive leadership, management, and entrepreneurship training and coaching.